Many Americans find it to be unconscionable that the quality of the health care they receive is largely in the hands of huge insurance corporations instead of based on their own decisions. It has forced many adults to have to ask questions such as is testosterone therapy covered by insurance before they have even be given the chance to find out what their medical treatment options are. And in the instance of receiving treatment for their Low T symptoms, the response given by many US health care insurers today is often an arbitrary one. Because of that, one of the first calls made by men and women who exhibit the type of symptoms that are commonly associated with testosterone deficiency is to their health insurance providers instead of their doctors. They want to find out if they have coverage for the blood testing and treatment for this medical condition before they have even been diagnosed with it. And given the present circumstances of the insurance-controlled US health care system, it is certainly understandable why people now feel a need to this regardless of what health problems they suspect they might have. With testosterone deficiency, your coverage often depends on the cause of deficiency; people who have been diagnosed as having adult-onset Low T frequently discover that their insurers decline coverage for this specific condition. Ultimately, whether or not your male hormone replacement therapy will be partially, totally or not covered depends on the terms of your policy and their final decision. Even our hormone replacement doctors and clinical advisors at Nexel Medical can’t answer the question of is testosterone therapy covered by insurance for our patients. 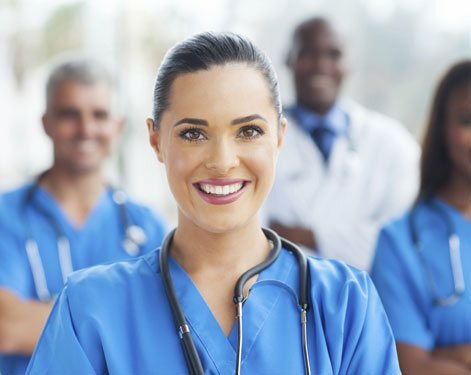 So this is why our standard practice is to receive payment for medical services directly from our patients and to provide them with documentation they require for reimbursement from their health care insurer as it applies to them. Is It Safe for Me to Use Testosterone Replacement Therapy? Insurers do not decline coverage for Low T because they have decided that it is unsafe; they will generally decline coverage for the adult-onset version of this condition because they have decided that it is non-essential. A patient who has developed this condition as a result of an injury or specific disease is very like to receive an affirmative answer to “is testosterone therapy covered by insurance?” because it often is covered when it has developed under these circumstances. And after decades of approved medical use, it would be highly questionable if health insurance companies now suddenly began questioning the safety of using Low T therapy. However, the safety of using this or any other form of bio-identical hormone replacement therapy can only be assured when treatment has been properly prescribed and is being used under medical supervision. Restoring any of your hormones to their proper balance requires the expertise of doctors who specialize in this field and it is when an adult decides to “go rogue” and use a powerful substance like bio-identical testosterone illegally that the circumstances can change to very unsafe ones. The increasing of your male hormone supply to excessively high levels can result in both moderate and far more serious health consequences; this makes the buying and using any form of pharmaceutical testosterone a potentially dangerous situation. No one should ever resort to doing this in an effort to save money because the answer they received to is testosterone therapy covered by insurance was no – or for any other reason. But for those adults who have been properly evaluated and tested for Low T, and who have no history of pre-existing medical conditions that would contraindicate its use, doctor prescribed and managed testosterone replacement therapy has been shown to be an effective and low-risk corrective measure. The incidence of patients who report having side effects is statistically very low and any temporary effects that patients have experienced when first beginning their treatment program are typically going to be easy for their doctors to mitigate. How Much Will It Cost to Use a Testosterone Therapy Program? TRT (testosterone replacement therapy) is one of the most affordable forms of endocrine medicine, especially if the patient is using the injectable form of treatment. However, it is a long-term proposition; once an adult’s endocrine system is no longer capable of producing an adequate amount of the male hormone, it will generally require ongoing supplementation to maintain healthy testosterone levels for life. This might be one of the reasons that medical insurers have taken the position they currently have in regard to saying no when they are asked is testosterone therapy covered by insurance. Even though the treatment of Low T has been shown to provide a patient with some very significant health and longevity benefits, insurers would still rather not have to pay for a medical treatment that is going to be administered to patients over the long-term. So may of today’s TRT patients are self-paying for their treatment. They are fed up with their insurance provider having the final say in their health care and have decided to proactively receive testing and treatment for their deficiency symptoms from an easy to access TRT specialist such as Nexel Medical. In regard to its cost, treatment is prescribed on a patient-by-patient basis and corresponds to each patient’s individual requirements for therapy. As mentioned, the use of injectable testosterone is definitely the most affordable treatment option, typically costing patients well under two hundred dollars a month. The gels and cream forms of medication cost more because they are applied on a daily basis, rather than the few times a month that injections are administered. Other forms, such as patches and implanted pellets are not nearly as widely used as testosterone injections and gels, so their relative affordability is not as clear at this time. Can I Receive Testosterone Therapy from My Local Doctors? It is not usually the answer they received to is testosterone therapy covered by insurance that prevents people from receiving Low T treatment from their regular local doctors – is because many general practitioners do not have specific knowledge and experience in the treatment of hormone disorders. And frankly, until recently many adults with testosterone deficiency symptoms simply found it too complicated or time-consuming to try to find a TRT specialist who could prescribe a treatment program for them. As a result, it has only been in recent years that the number of patients receiving treatment for their Low T symptoms has seen a significant increase. In recent years, the arrival of Internet-based TRT medical doctors and clinics has made it substantially more feasible for adults to access treatment for their condition. Respected and fully licensed hormone therapy providers like Nexel Medical are now able to provide adult patients, in all 50 states, with locally available testing and treatment for Low T, along with the added convenience of being to purchase their prescribed TRT medications online from properly licensed and reliable online pharmacies. At last, clinically qualified US adults can all receive the same high level of safe and effective testosterone replacement therapy regardless of where they happen to live. So even if there are no local doctors in your area that specialize in hormone replacement therapy for conditions such as adult-onset Low T, you can still receive the medical treatment you need locally. Simply contact Nexel Medical, by phone or by using the contact form on our website, and we can schedule your local TRT blood test without further delay. 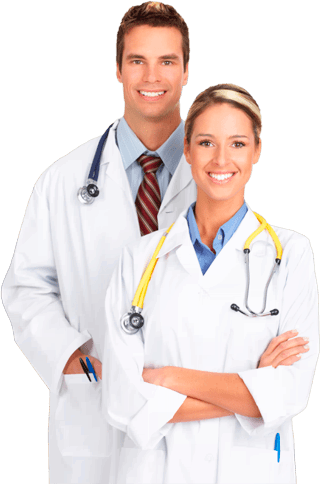 In less time that you probably thought was possible, you can receive an accurate diagnosis of your condition of testosterone deficiency and have treatment prescribed for you that will both eliminate your symptoms and provide you with the additional health benefits that having properly balanced male hormone levels delivers. Regardless of the answer you get when you ask your medical insurer is testosterone therapy covered by insurance, your decision to choose Nexel Medical as your TRT provider can save you time, money and most importantly, it can save you from years of suffering with inferior health and the loss of your masculine vitality. Having Low T is no laughing matter, so isn’t it time for you to find a provider who takes your symptoms, and your desire for improved healthfulness, seriously?